Algernon Freeman-Mitford – later to become the 1st Lord Redesdale – travelled widely in China and Japan, and developing a particular interest in bamboos. He inherited Batsford Park in 1886, and, within six years, had demolished and completely rebuilt the mansion, and transformed the landscape into one of the most remarkable examples of ‘wild garden’ in the world. He also engaged James Pulham and Son to construct an artificial watercourse some 600 metres long from the top of the west side of the gardens to the lake at the bottom, using sandstone from the local quarry at Bourton-on-the-Hill, about a mile or so away. The water was pumped round the system by a pump installed in a field at the bottom, near the lake, and other major features that can still be seen today include the ‘Hermits’ Cave’ at the top of the park, and a Japanese Rest House about one third of the way down. Within a few yards of the entrance to the Park, the path passes a typical ‘Pulhamesque’ rustic scene, with water flowing over a rocky waterfall, and under a low-sided bridge. The water flows down from the stream above, over the fall, and under the bridge on its way down through the lower stream, and over a large rock that overhangs a path, to cascade down to the lake below. The Batsford Estate was sold in 1919 to Gilbert Alan Hamilton Wills, later to become the 1st Lord Dulverton. His son, the 2nd Lord Dulverton, founded a charitable trust in 1984, and donated the Park to its care and safekeeping. 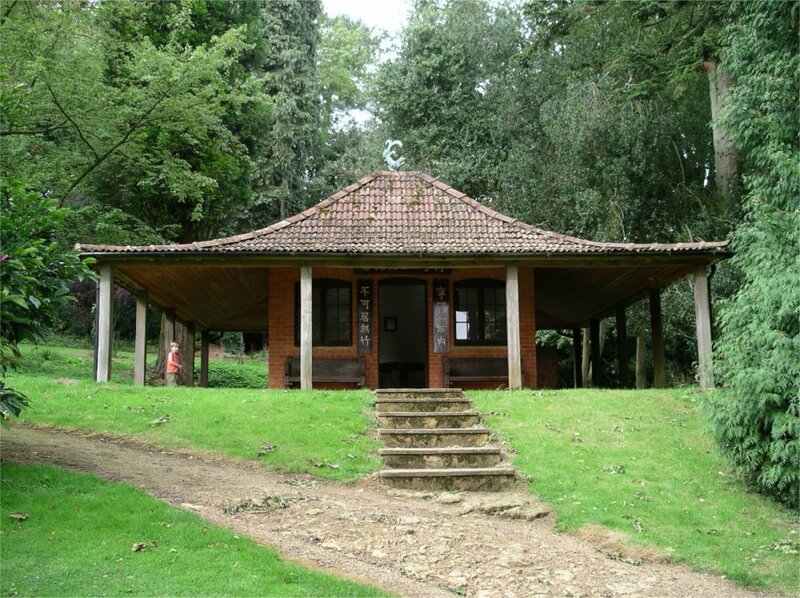 He died in 1992, and the Arboretum has been administered and developed as an educational resource by the Batsford Foundation since that date. A full description of the work done by James Pulham and Son at Batsford Arboretum – together with a number of pictures – can be found in Chapter 27 of Rock Landscapes: The Pulham Legacy – the critically-acclaimed and lavishly illustrated definitive story of the lives and work of James Pulham and Son. Written by Claude Hitching, with featured photography by Jenny Lilly. Published by Garden Art Press. Posted on October 2, 2014 June 30, 2016 by Claude HitchingPosted in Book ContentsTagged . . James Pulham and Son, 1st Lord Dulverton, 1st Lord Redesdale, Algernon Freeman-Mitford, Batsford Arboretum, Batsford Foundation, Claude Hitching, Gilbert Alan Hamilton Wills, Hermits' Cave, Japanese Rest House, ornamental rockwork.